VANCOUVER – B.C. has greenlighted the logging of 314 new cutblocks in the critical habitat of southern mountain caribou across the province in the past four months alone. The shocking discovery made by the Wilderness Committee is prompting the organization, along with Greenpeace Canada, to call on Catherine McKenna, federal minister of environment and climate change, to issue an emergency order to halt logging of southern mountain caribou critical habitat while negotiations for conservation plans are underway. Four months ago, negotiations were well underway between the federal and provincial governments and First Nations to create an effective caribou conservation plan. But while in negotiations the B.C. government continued approving cutblocks in critical habitat. “It’s as if B.C. is holding a clear out sale for logging companies to ‘get it while you can!’ It’s the great caribou con from our very own B.C. government,” said Dawe. McKenna, announced last summer that southern mountain caribou are facing imminent threats to their recovery noting, “immediate intervention is required to allow for eventual recovery.” The announcement came after the functional extinction of two caribou herds in B.C. The evidence is piling up against the B.C. government’s claim that they are effectively protecting caribou throughout the province. Almost a year ago the Wilderness Committee revealed 83 cutblocks were approved in the critical habitat of B.C.’s eight most at-risk herds. Logging rates have increased since the finding; in the past four months, 134 new cutblocks have been approved in the same critical habitats. 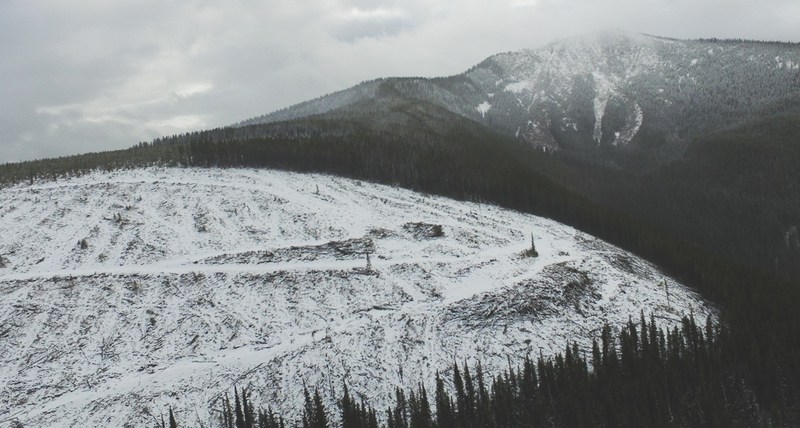 There are two southern mountain caribou local populations where logging approvals are the highest in core critical habitat — the Telkwa and Chilcotin populations. Both have 13 cutblocks each set to be logged. Map of 314 approved cutblocks in critical habitat across B.C. Zoomed-in map of Telkwas and Chilcotin local populations with approved cutblocks in critical habitat. Sewid, a member of the Kwakwaka’wakw group of Indigenous peoples, points out that the animals have been hunted for thousands of years. Recent decades with little or no hunting have been an anomaly, he said, pointing to research that shows seal numbers are even higher now than in the 1800s. Two bear cubs that somehow managed to get stuck in a recycling facility dumpster had to be rescued by conservation officers in Sooke, B.C., on Monday. It’s not clear how the cubs climbed up and into the dumpster — but once in — they couldn’t get out. Sgt. Scott Norris with the B.C. Conservation Service says the mother bear watched calmly from a distance when help arrived. “When we showed up, we pulled into the yard and there was mom sitting at the back of the yard, sort of 50 yards away just watching,” he said. The cubs were safely tranquilized, had their ears tagged and were pulled out of the dumpster. They were then returned to their mother at a neighbouring property. The dumpster didn’t have any food waste in it, but Debbie Reid with Wild Wise Sooke says the bear cubs’ rescue is a good reminder to secure all garbage bins. “What triggers bears to sleep is the fact there is no food … but in Sooke we have people leaving out garbage and pet food and things like that,” she said. The conservation service says bears on Vancouver Island usually don’t go into hibernation until January. It took a close encounter to twig Paula Wild to the charm — and danger — of the once-threatened wolf. After crossing paths with the carnivore while driving her car near a remote Quadra Island hiking trail, Wild wondered about her initial “tingling up the spine” reaction, she told On the Coast guest host Margaret Gallagher. Wolf versus bear: predators face off outside Kamloops, B.C. That feeling spawned the author’s upcoming book, Return of the Wolf: Conflict and Co-existence, a guide to living with a wolf population that has been steadily increasing across the province for the last 50 years. The grey wolf has disappeared from broad swathes of the world, including most of western Europe. But the B.C. population began to return to healthy levels during the 1970s, according to a 2015 provincial report. There are an estimated 8,500 in B.C. today. Wolves are now returning to areas they haven’t inhabited for decades, Wild said, making encounters with them more likely. Despite a “misconception” that healthy wolves won’t attack humans, it does happen, she added — and it’s usually due to human interference. But Wild warns that humans don’t always share the same skill. Feeding wolves, or even getting close enough for a photograph, can habituate a wolf to humans and make bold behaviour more likely. She thinks more education could teach nearby residents to keep their distance, make noise to scare away the more curious pack members and keep dogs on-leash when walking through wolf territory. Poisoning wolf packs was widespread practice during the first half of the 20th century, and culling programs remain in place today. 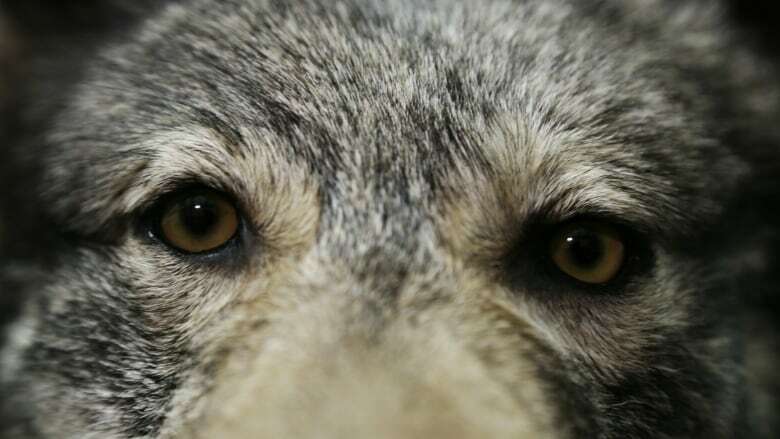 But the centuries-long relationship between humans and wolves, Wild said, has been defined by shifting perceptions. The wolf pops up in myths, fairy tales and common expressions, Wild said, pointing out their importance to language and culture. “I hope people will learn to see wolves for what they are, not for what we want or perceive them to be,” she said. 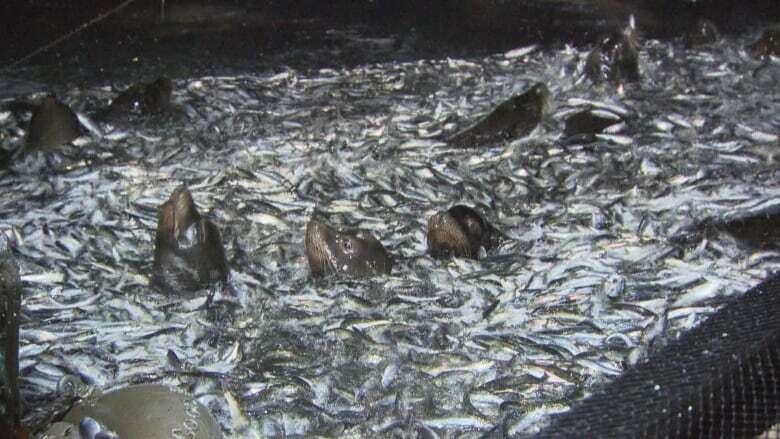 Board chairman Kevin Kriese says it found the government didn’t take steps to ensure the protection of fisher habitat, and while forestry firms did make some efforts, it wasn’t sufficient given the unprecedented scale of salvage. Oct. 6, 2017 4:47 p.m. The Ministry of Forests, Lands, Natural Resource Operations and Rural Development announced today that two areas affected by wildfire in the Cariboo will be closed to moose hunting from Oct. 15-31 and Nov. 1-15. The closures affect an area north of Highway 20 and west of Williams Lake and Quesnel, after the Chilcotin Plateau Fire ravaged the area this summer. The press release noted that the area is also important to First Nations sustenance hunting. The closure comes after First Nations groups in the region called for the province to instate a moratorium on moose hunting. Contacted for comment, Nazko First Nation chief Stuart Alec said: “It’s great news to hear that the province is taking steps to address the situation and the concerns of the Nazko people and others concerned about the moose populations. “We are looking forward to working further with the province to maintain moose populations in the region. The ministry indicated that the areas impacted by the hunting ban will be assessed over the winter to inform what level of sustainable hunting will be available in the coming years. A rare sighting of the endangered leatherback turtle off the B.C. coast is an opportunity to celebrate — but also to reflect on the danger of plastic waste in the oceans, a marine biologist says. Earlier this month, two Vancouver Island men captured photos of the enormous sea turtle. 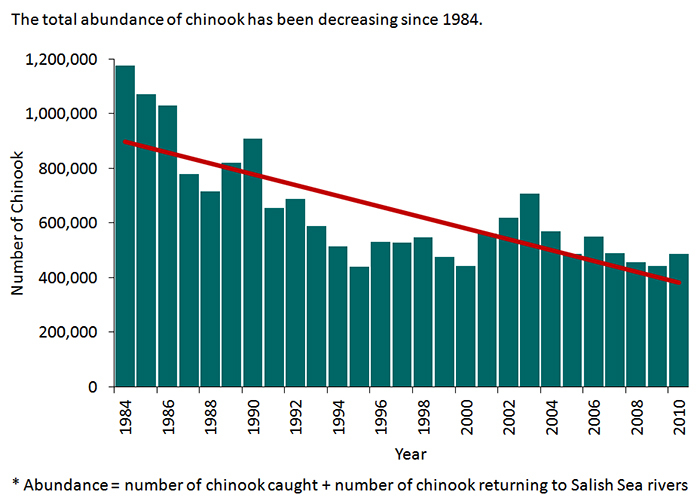 It was one of fewer than 135 sightings recorded in B.C. waters since the 1930s. The leatherback is one of the largest reptiles on the planet and can grow to the size of a Smart car. Instead of a shell, the turtles have a thick, collapsible leather-like back that allows them to dive to extreme ocean depths of up to 1,270 metres. The turtles, which travel from Indonesia to feed on jellyfish, have seen their populations decline drastically in recent years, in part due to frequent entanglement in plastic pollution, according to the the Department of Fisheries and Oceans. In Jackie Hildering’s experience, marine species are often the first to bear the brunt of environmental problems and leatherbacks are no exception, as many are found with plastic in their stomachs. 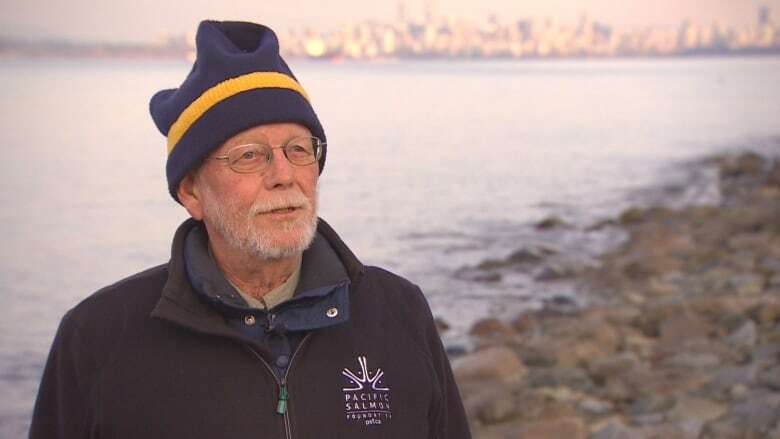 Hildering, a researcher with the Marine Education and Research Society, said many people in B.C. may not even know the species exists in local waters, but that even small actions such as releasing a balloon into the air without thinking about where it might land can have an impact on the turtles’ survival. “One of the powerful things to realize is that they can’t discern plastics and balloons from their jellyfish prey,” she told Jason D’Souza, host of CBC’s <https://www.cbc.ca/listen/shows/all-points-west> All Points West. Leatherback turtles in Canada have been designated as an endangered species under the Species at Risk Act. The species has lost 70 per cent of its numbers in the past 15 years. A major challenge in tracking and restoring leatherback populations in B.C. waters is first tracking their food source, the jellyfish, said Lisa Spaven, a scientist with the DFO’s Pacific Biological Station. 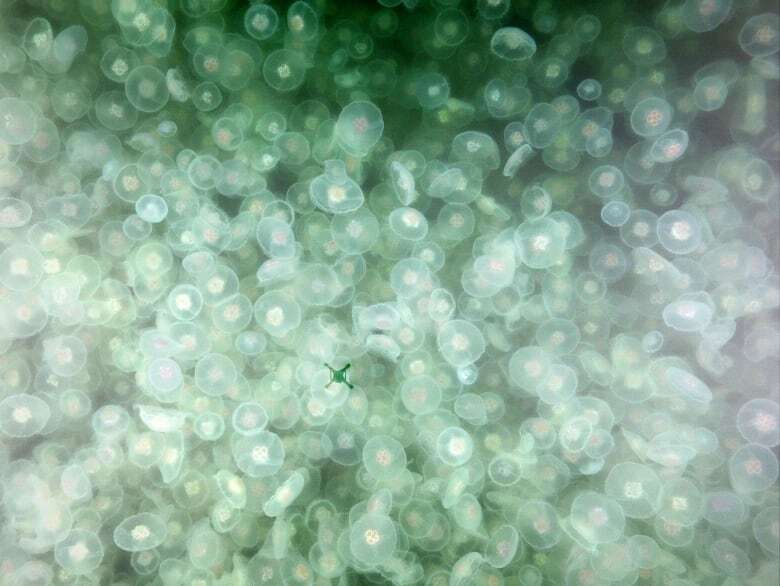 Marine biologists rely on fish surveys to include jellyfish population data, including density and location. Jellyfish are hard to track and scientists are still figuring out whether leatherbacks prefer areas with a high density of small jellyfish or a low density of large jellyfish, Spaven said. 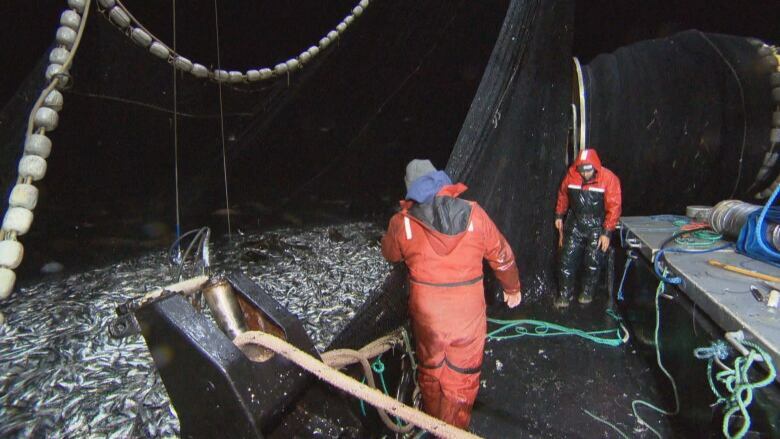 “We’re still trying to get a handle on the currents and where the jellyfish are. There’s a lot of work yet to be done,” she said. Funding for leatherback conservation was not approved by the DFO this year according to Spaven but her department continues to carry out habitat protection work in Indonesia, where nests are at risk from predators such as wild pigs. 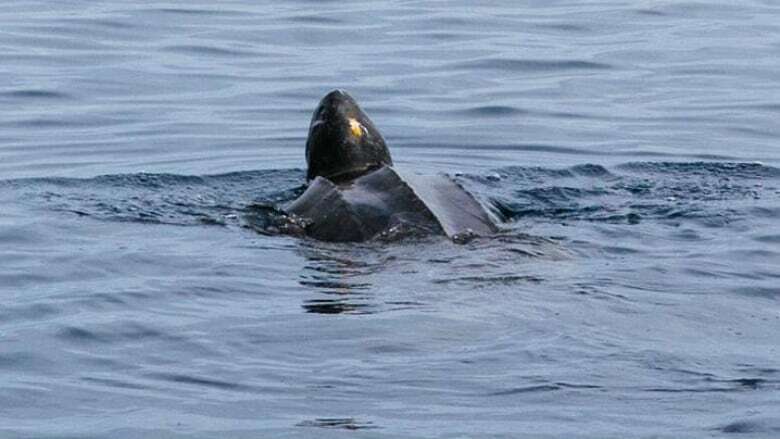 Former Vancouver Canucks defenceman Willie Mitchell and photographer Jeremy Koreski spotted the turtle on Aug. 6 just west of Tofino, B.C., and forwarded their photos to Hildering. Hildering said the men recognized the turtle as a leatherback but, like many in B.C., did not know how important the sighting was. “​I don’t think they knew that I would fall off my chair when they sent the photos, I don’t know that they knew they found the smallest needle in the biggest haystack,” she said. Leatherbacks are “living dinosaurs” that “belong in B.C. waters,” Hildering said, and their presence is a reminder of the wide variety of species B.C. coastal waters should support under optimal conditions. British Columbia has begun an ambitious effort to review the province’s approach to managing wildlife, with $14-million committed so far. The province’s interest in reform is encouraging. As explained in a letter we recently published in the journal Science, this endeavour and its justification are laudable, and if done properly, have the potential for making B.C. a continental leader in wildlife management. Whether this happens, however, will depend largely on whether the reform embraces principles of science honestly and openly, while involving the varied interests of all citizens, rather than only consumptive users (hunters and trappers). British Columbia is blessed with a remarkable diversity of wildlife. Many of the 3,800 known plant and animal species in B.C. live only here. The province is also critical for winged migrations that extend over thousands of kilometres. Unlike most places in North America, B.C. has additionally retained all of the large land animals that were present at the time of European colonization, including grizzly bears, wolves, caribou and cougars, making it among the last havens for the large animals left on the continent. A sub-adult grizzly bear chases down a salmon near Klemtu, B.C. (File Photo). 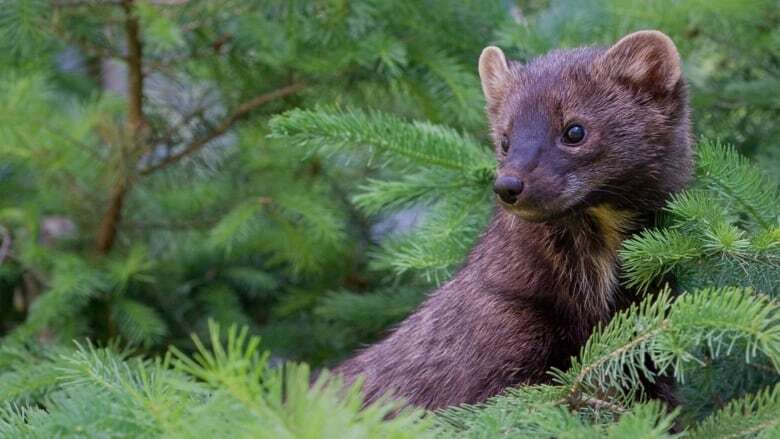 However, many might be surprised to learn that instead of the management of this wildlife being primarily focused on conservation of species and the ecosystems on which they depend, in B.C., as across much of North America, the focus is typically on the management of wildlife to allow for sustained exploitation by hunters and trappers. This consumptive focus can overshadow broader concerns about wildlife, including ethical considerations. 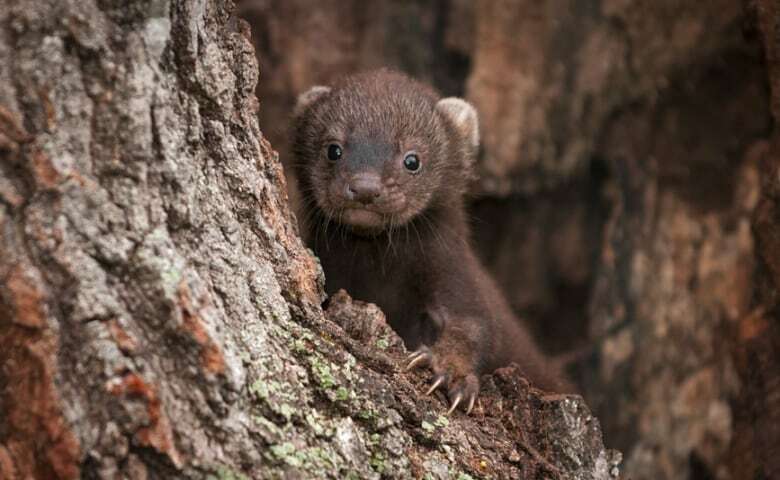 Although there are clearly ethical considerations in any decisions about the environment, wildlife management is one of the few fields for which ethics remain notably absent. This stands in contrast with other areas of public policy, such as criminal justice and health care, where the recognition of ethics is foundational. Such consideration has led to better outcomes, such as improved well-being of those affected by policy decisions. The scale of wildlife exploitation can be difficult to comprehend. Although hunting and trapping might evoke visions of traditional, low-scale and low-impact endeavours, both undertakings currently comprise an enormous extractive activity: For many wildlife species, humans kill more adults than all other predators combined. Given this reality, one might hope that wildlife management would have considerable oversight and rigour to protect against potential negative impacts on wildlife populations. And wildlife managers across North America usually do claim a scientific foundation for their activities. However, recent research in the journal Science Advances found that key hallmarks of science are often missing in management of species across North America. For example, of the 667 management systems that study examined, only 26 per cent had measurable objectives, only 11 per cent explained how hunting quotas or limits were set and only 9 per cent were subject to external review. To reform management so that science can honestly and credibly support policy decisions will require incorporating key hallmarks of science: 1) Clear objectives are needed for the public to understand what government wildlife managers are trying to achieve. These objectives need to be clear enough to allow assessment of whether they have been met, and their ethical basis needs to be clearly described; 2) Strong evidence is needed to ensure that well-informed decisions are made. In cases with weak evidence, strong caution is warranted; 3) Full transparency to the public is required in how wildlife is managed, including how the funding the public provides for management is used, and; 4) External scrutiny, whereby independentbodies (that is, individuals who are neither part of government, appointed by government, nor too closely affiliated to be unbiased) scrutinize the approach used by government, to ensure approaches used are credible. The B.C. government recently made the courageous decision to end the province’s ethically questionable, controversial and scientifically suspect grizzly bear trophy hunt, a decision that government leaders acknowledged was partly in response to changing societal values about wildlife management. These included considerations of cultural and other non-lethal values and activities, such as wildlife viewing. The current review of provincial wildlife management provides a tremendous opportunity to further demonstrate leadership for the province and the continent, by addressing the critical need for broader wildlife policy reform that is informed by science and reflective of societal attitudes and desires, including ethical concerns in wildlife management. 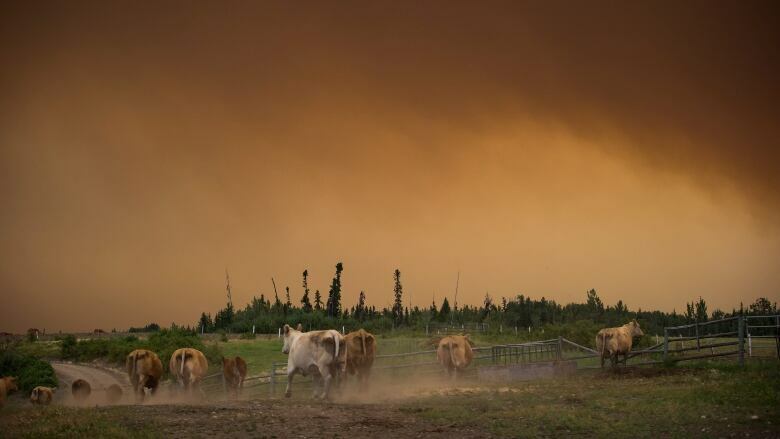 “As the fires increased last summer and this program seemed to have so much value we saw those numbers increase significantly,” she said of more farmers and ranchers registering for the program. HEYWOOD ISLAND—Boaters seeking a quiet anchorage in the sheltered waters of Browning Cove, east of Little Current at Heywood Island, have instead found themselves facing a hungry bear that visited four different boats over the course of three days. “I was down below fixing dinner, a bass I caught yesterday, when I heard this loud strange scratching noise,” says Brian Laux of Walworth, NY. 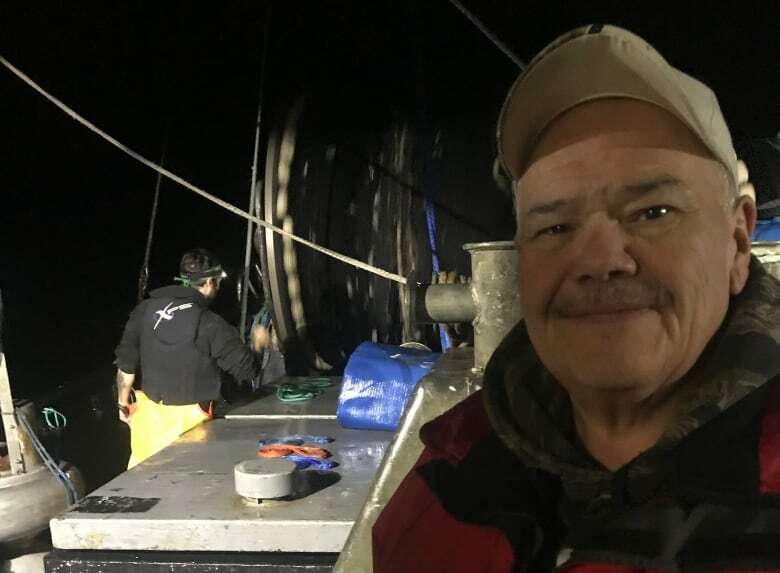 Mr. Laux immediately got in contact with Roy Eaton, who runs the daily Cruiser’s Net broadcast out of Little Current, to share his incredible story. At the time, he did not consider the bear a major threat because of his timid interaction with it. 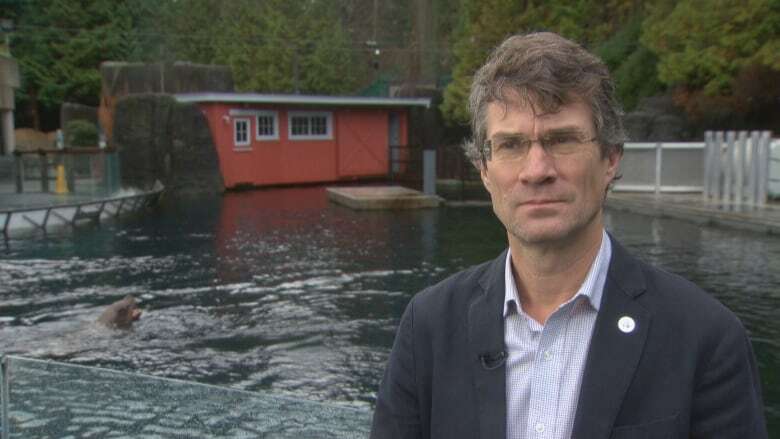 Mr. Laux says he has heard the bear is often spotted swimming across the mouth of the bay in which he was anchored but more recently it has been seen making trips to Browning Island. Fortunately, the bear left without much fuss after this first encounter. But it was not finished yet. Mr. Laux had just finished listening to the morning broadcast when he heard the unmistakable sound of the bear paddling back towards his boat—perhaps ironically named Serenity. This time, the bear was more persistent. “I poked him in the nose with my boat hook,” said Mr. Laux. The bear, although seemingly annoyed by the gesture, swam around the boat a couple times and eventually retreated back to shore. That morning, Mr. Laux was visited by the owners of a boat called Carandy. Unfortunately, Mr. Laux was not the first person to have an encounter with this bear. On the same day as Mr. Laux’s first encounter, the bear had already visited Carandy, which was anchored in the same area as Serenity. Carandy’s owners did not respond to a request for comment by press time. When the bear arrived, Carandy’s owners were away on a kayak trip. When they returned, the bear was in the process of tearing apart their cabin. It had climbed aboard using the swim ladder they left down to get into their kayaks. Carandy’s cupboards were ripped off and nearly everything inside was eaten, chewed or covered in fur and bear spit. After making noise by banging on the hull, the bear finally was scared off and retreated to the island. Carandy’s interior was trashed. With no other options, the boaters elected to clean up their mess and figure out what to do next. But as they were cleaning, the bear came back and attempted to board the boat again from the bow. After a solid whack on its nose from the boat hook, the bear swam back towards land and stared at Carandy from the shore. Feeling threatened by the bear’s continued presence, they moved to the middle of the bay and set up anchorage there. Meanwhile, after Mr. Laux fended off the bear the following morning, he elected to stay one final night but repositioned himself further from shore. He went around to visit the other boats anchored in the area and made sure they knew of the bear’s presence and to keep their swim ladders up. Mr. Laux’s warning and an advisory on Mr. Eaton’s Cruisers Net proved useful for Dennis Kirkwood, who had just arrived into the bay on his catamaran. After a late dinner with his girlfriend, they were getting ready for bed around midnight when they heard a thumping and scratching noise under the stern of the boat. The bear was under the swim platform, between the two hulls. The bear had knocked out the floor plate and its paw was coming up through the opening. After a continued effort, Mr. Kirkwood switched to his wooden oar to hit the bear’s paw. The bear pulled its paw back but remained under the platform, breathing heavily. “It was very surrealistic,” said Mr. Kirkwood, adding that the pitch darkness of the night added a complicated aspect to the ordeal. “He’s substantial sized, maybe 250 pounds; not a cub at all,” Mr. Kirkwood says. Mr. Kirkwood continued to poke through the opening to encourage the bear to leave, but it stayed put. That was a surprise, as Mr. Kirkwood understood bears usually scatter upon hearing loud noises. With that, Mr. Kirkwood decided to keep prodding it with his oar to encourage the bear to leave. It worked, but the bear managed to break his wooden oar in the process. Mr. Kirkwood notified Mr. Eaton of his experience. The bear incidents were turning into a trend. On Thursday night, Otto Gustafson had what may have been the closest experience yet. He arrived at Heywood Island and had anchored for the night. At about 9:30, he heard the telltale scratching and splashing of a bear next to his boat. His swim ladder was up, so he decided to stay put because the bear should not have been able to make it on board. Suddenly, the bear climbed the stern and appeared in the cockpit. The bear started sniffing for something to eat, and the two came within 18 inches of each other. Mr. Gustafson began screaming and making noise at the bear, but the bear seemed to ignore the disturbance. Mr. Gustafson even shone his spotlight into its eyes and sounded his foghorn, but nothing seemed to dissuade the bear. The bear had put its paw through the screen that separated it from Mr. Gustafson, when a fellow boater heard the commotion and came alongside them on his dinghy. It was not a moment too soon. The presence of the dinghy seemed to scare off the bear which walked to the bow, entered the water and disappeared. So far, these four boat boardings are the only reports The Expositor has heard of regarding bear encounters at Heywood Island or elsewhere. “I suspect somebody might have fed it off a boat at one point. That’s a supposition, but he’s certainly learned that boats equal food,” says Mr. Laux. Jolanta Kowalski from Ontario’s Ministry of Natural Resources and Forestry (MNRF) says this year’s wild food surveys have indicated a decrease in natural food availability for bears because of an ongoing drought. “Bears have a phenomenal sense of smell and if they find food once at a location, they will return. It’s critical for boat residents and the public to manage anything that may attract bears such as garbage and food,” stresses Ms. Kowalski. The Expositor asked at what point the MNRF would take action, if any, to deal with the situation, and what that action would entail. Police will assess the situation. They may call MNRF for assistance to trap and relocate a specific problem bear. The Ministry provides advice and education. The public can call the Bear Wise phone line 1-866-514-2327 <tel:+18665142327> for information about avoiding human-bear conflicts.